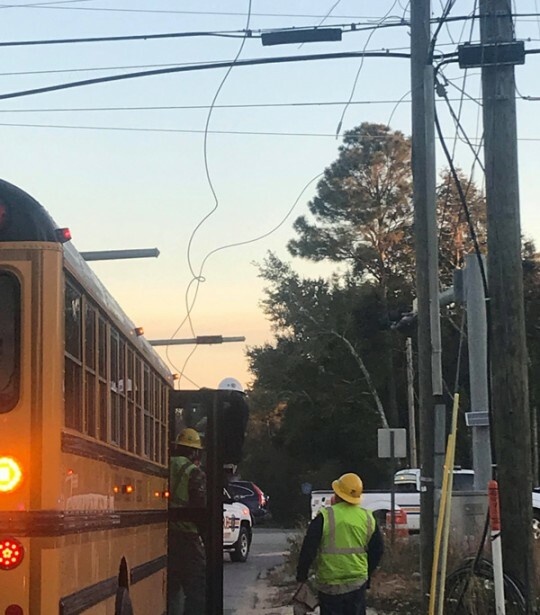 A power line fell onto a school bus Thursday morning in Beulah in a sequence of events that left a couple thousand without power. 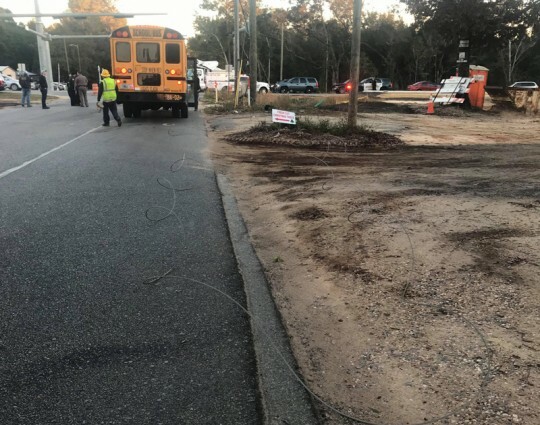 The Beulah Academy of Science bus was stopped on Beulah Road at Nine Mile Road when the power line fell shortly before 6:30. There were no students on the bus, and the driver was not injured. The bus did not collide with a utility pole. 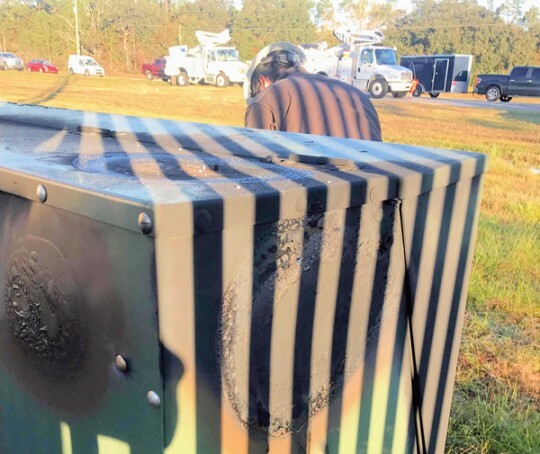 Gulf Power spokesman Jeff Rogers said there was a problem with a switch box for underground electric lines in the area. That caused an overhead neutral or ground wire to overheat, pull from a holder and fall on the bus. 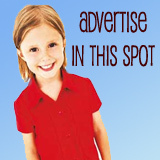 “A breaker immediately locked out and de-energized the line,” Rogers said. During the incident, a roadside switch box shorted, causing what bystanders said sounded like a huge explosion. 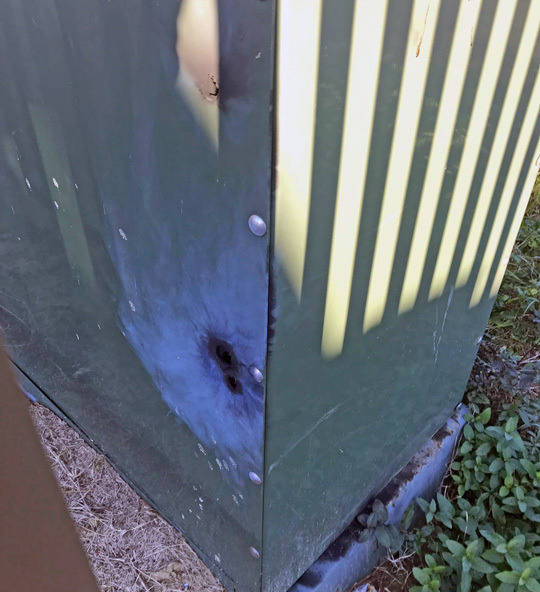 The box (pictured below), showed visible signs of damage. About 2,200 Gulf Power customers including Beulah Middle School lost power as a result. About 500 customers remained without power as of 11:30 a.m., and all were restored by about noon. It was way past noon when the power was restore at my house. 6:19 am. Fan shutting off woke me up. Only 10 min before normal so no big deal. When I got to 9 mile and saw the bus tangled up with power line, I knew what happened. Of all things to have to fall on, a school bus. Very scary.